Carbinite Metal Coatings offers customer-focused solutions for improving grip and reducing wear for a wide variety of applications in many different industries. 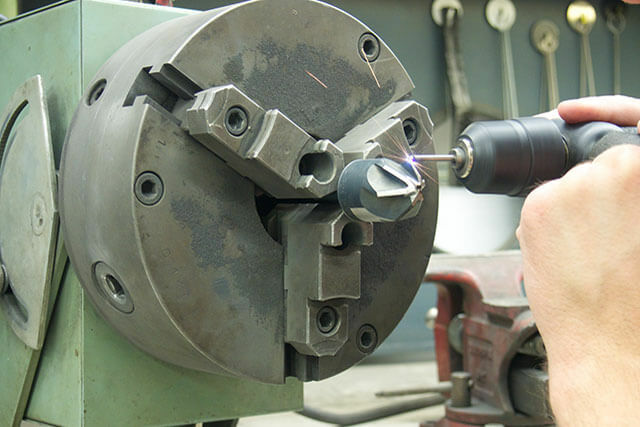 It can be applied to worn-out dies, clamp blocks, and other fixtures to extend the life of your tooling. Carbinite is not a spray process. 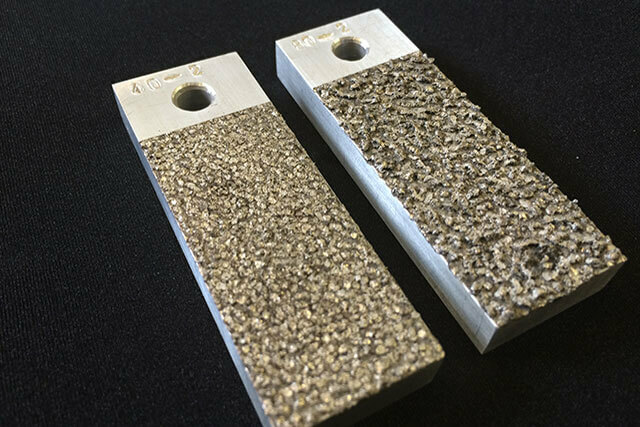 Our carbide-based textured coating is applied using a process called Electro Spark Deposition (ESD), yielding a true metallurgical bond. This high bond strength far surpasses any spray-on coating currently available. Carbinite can be used as an alternative to thermal spray or diamond coatings in many applications. Carbinite can be applied to most metals that can conduct electricity. 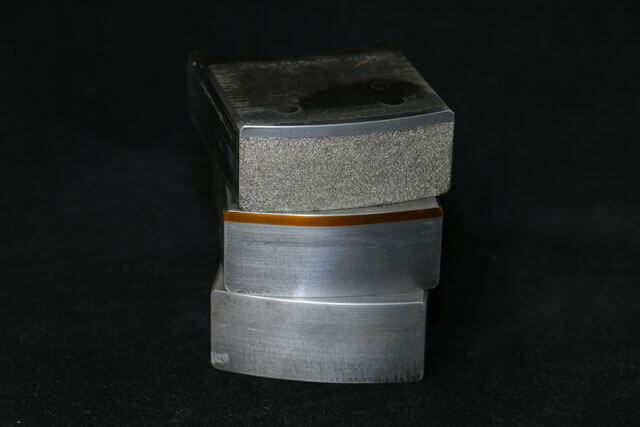 Our coatings really excel when applied to hardened A2 or D2 tool steel. Carbinite is guaranteed to not crack, chip, or peel and can be reapplied without additional build-up. Carbinite is primarily a high-friction coating. Carbinite increases the coefficient of friction of the base metal to which it is applied, benefitting applications where slippage is an issue. In applications needing an increase in the COF, Carbinite’s textured grades can be applied from 36 to 280 grit Emery equivalence. Where a smooth or sliding surface is required, Carbinite’s wear coating can be applied as smooth as Ra 2.5 μm or Ra 98.43 μin. 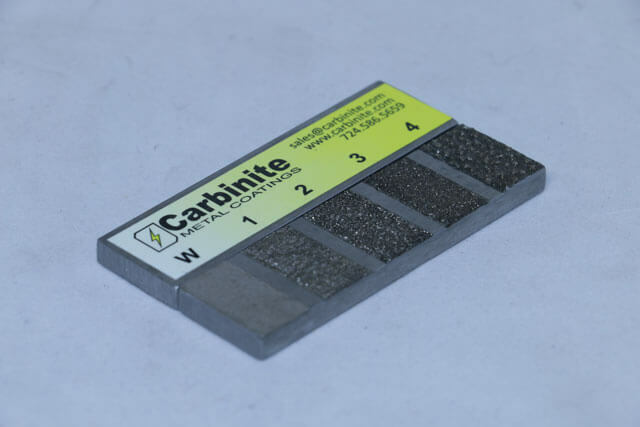 Carbinite also hardens the base metal, taking some high-quality tool steels to over 70Rc. Carbinite can be applied to small areas and specialty parts of all shapes and sizes. We use special tape to mask areas for precision application. Automation is used for many high-quantity or large surface area applications. Five standard Emery equivalences that can be customized for your application. Tungsten-carbide for grades W thru 3. Stellite/carbide for grade 4, non-slip safety flooring, and dyno drums.